German chancellor, Angela Merkel has said she will be willing to work alongside Britain, in hope to see ‘substantial changes’ within the EU’s community sector. She made the crucial decision to team up with the UK because in her own words, ‘she said: “Britain and Germany shared the goal of a “strong and competitive” European Union”. She addressed the house, filled with several MP’s by mentioning the words: ‘”United and determined”. they could act as a beacon to the rest of the world. 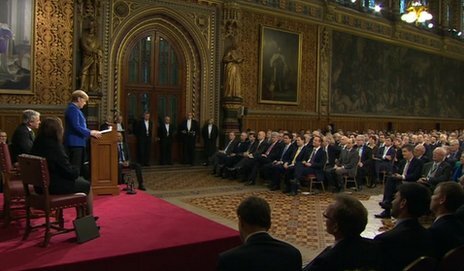 Important figure heads such as PM David Cameron, right, with opposition leader Ed Miliband, left, and deputy PM Nick Clegg, centre all sat at the front. 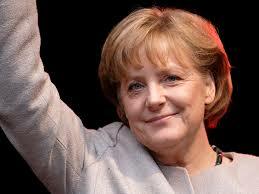 Merkel’s speech was in fact very up-lifting and made it known she had a voice of not just power but reason. As a Union, she agreed that we came along way and of course like all institutions, there will always be areas of improvements. Which is why she ‘knocking’ back any negative comments of kicking UK out of the EU but simply embracing our efforts and highlighting the contributions to our own society and others.